Reliance JIO has been catching attention constantly after its first roll out for limited number of people. 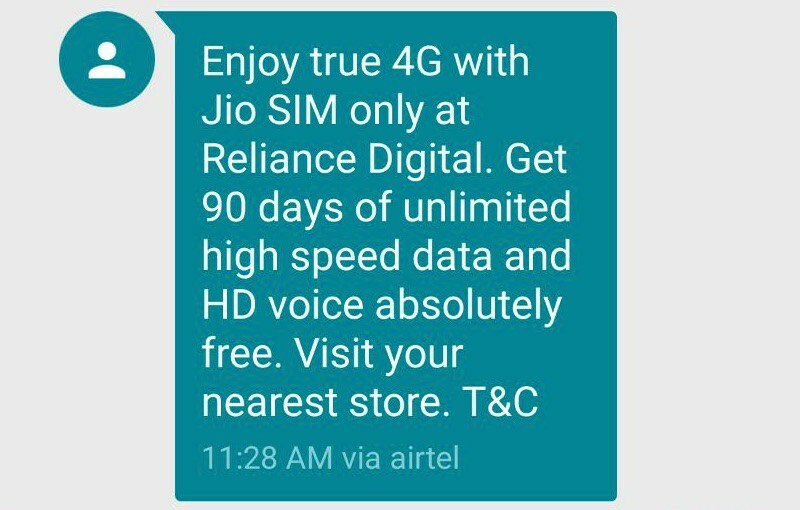 Since then, the company is slowly bringing in the Reliance Jio with its 90 days preview offer for public. In our opinion, this marketing strategy is working in the favor of the company and they are getting the head start they need before its official release. 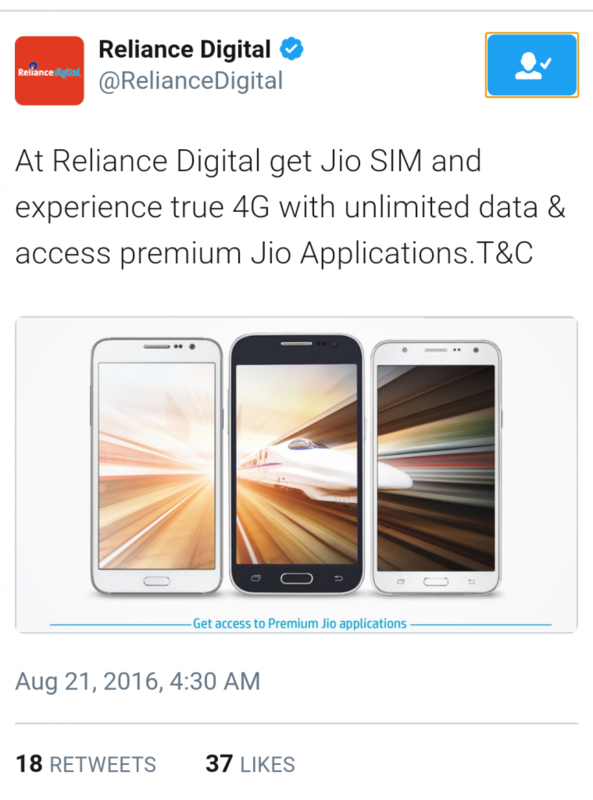 According to Tweet posted today (August 21) at 04:30 AM from Official Reliance Jio Twitter handle, Reliance JIO is now available for 4G phones. The Tweet says “At Reliance Digital get Jio SIM and experience true 4G with unlimited data & access premium Jio Applications.T&C”. There is no official announcement that clearly confirms this news but several other report from reliable tech blogs like Gizmo Times have said that the scheme is implemented in selected stores, and will be available in most of the stores in coming days. Also some of the customers who have given their phone numbers at the Reliance Digital Store are receiving SMS about the availability of JIO sim with any 4G phone. In case you were waiting for this opportunity, then quickly make a visit to the nearest Reliance store and check if the offer is available at that store. Some of the stores are now giving the SIM by checking the installed Jio apps on 4G phones but most of them are refusing about the offer. Make sure you make a phone call before you visit the store. We expect that Reliance Jio will make things official within a day or two. But we will have to wait and see what do the terms and conditions demand. According to sources and some Reliance Digital Store representatives, now the customers can walk into the store with a copy of ID proof and a photograph to get the Jio SIM. Apart from LYF Mobile, Reliance Jio was available to a limited number of phones, which is expanding continuously. Earlier it was available only to Reliance employees and then for selected Samsung phones. Earlier this week, some more Samsung and LG phones were added to the list of eligible devices. 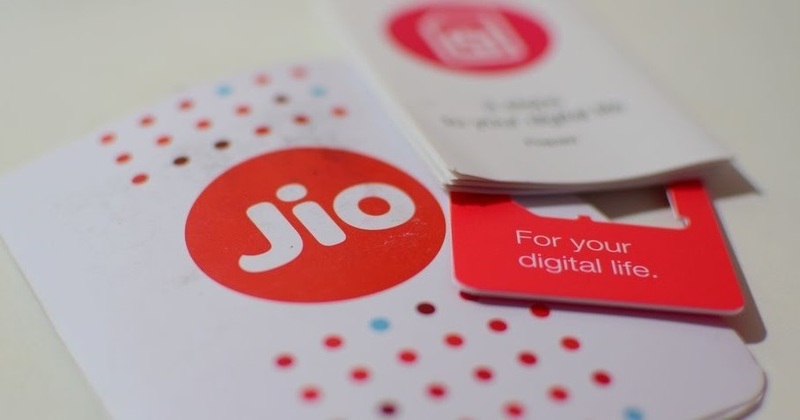 You can check if your device is in the list or not, here is everything that you need to know about Reliance Jio till now. Install the MyJio App from Play Store and follow simple instructions to generate an Offer Code. Please ensure you carry your Jio Preview Offer Code along with the handset. How to generate Code for the Partner Jio Preview offer? Check the required documents for submission and visit the nearest Store. Please ensure that Jio SIM is used in the mobile, in Slot 1 in case of Dual SIM and that Data is active on your Jio SIM.